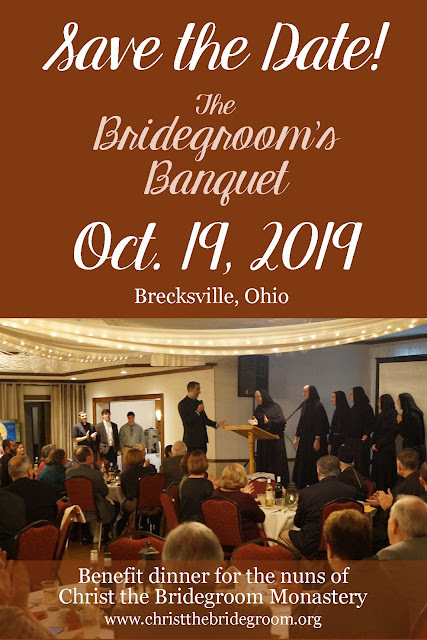 Our Bridegroom's Banquet will be a month earlier than usual, so be sure to save the date! We hope you can join us for a great evening! In the meantime, have a blessed Holy Week & Pascha as we journey together with the Bridegroom as He lays down His life for His Bride, the Church.